It may come as a surprise that despite ‘Business Development’ frequent occurrence in practice (say 97,000,000,000 Google hits) there is very little systematic knowledge on Business Development’s unique features (less than 15 research papers). EIBE MGMT is leading in Business Development consultancy based on research. but does not include decisions and execution of growth opportunities or their actual implementation. In more layman terms we focus on preparing, screening and prioritizing growth opportunities on behalf of decision-makers. If the growth opportunity is favorable assessed to be implemented, we support and monitor its progress on behalf of senior management. In small and medium sized organizations these tasks and processes are typically not as clearly demarcated, but there are gains from understanding their unique contributions to the growth and development of the organization – and the wealth creation of its owners. It is the context of the growth opportunities that is a good indicator of Business Development should engage with them. Otherwise we will leave the tasks for the Line Officers (1) or the Strategy Development function (2). Having experience with both senior management and with working in line-functions. 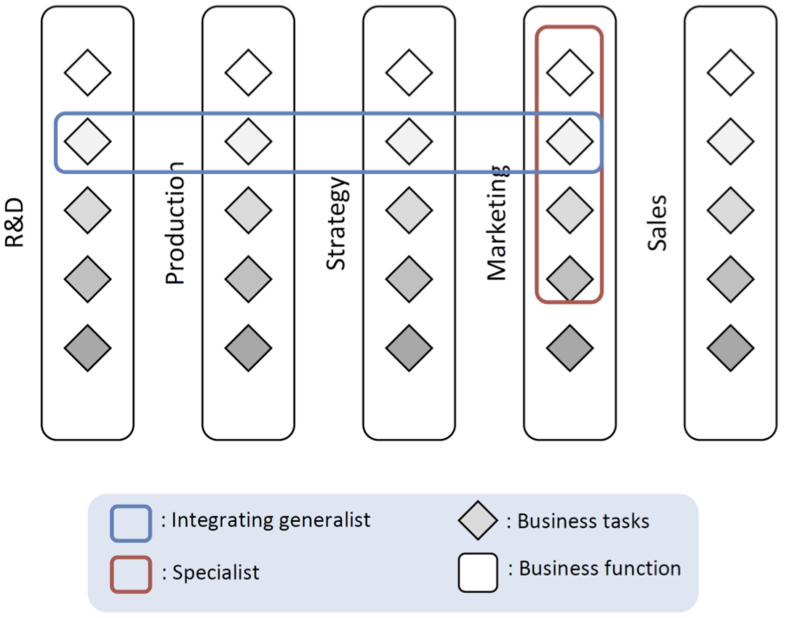 Business developers are what we call integrating generalist and not ‘just’ a generalist or a specialist. I leave it to you to find the right answer. Only unique Business Development tasks and processes as welll as unique traits of the Business Developer is of interest to EIBE MGMT. Let’s be clear; business development is not just that of ‘developing the business’. All organizational functions and activities should be directed of developing the business. Even the purchase of Post-Its. Sørensen, Hans Eibe (in press). Making Planning Work: Insights from Business Development. International Journal of Entrepreneurship and Innovation Management. Sørensen, Hans Eibe & Williamson, Tevor. (2016). Nu2U: Business Development in High-Growth Firms. SAGE Business Cases, SAGE Publishing. Lorenzi, Valeria, and Sørensen, Hans Eibe (2014). Business Development Capability: Insights from the Biotechnology Industry. Symphonya. Emerging Issues in Management, 2, 1-16. Sørensen, Hans Eibe (2015). Business Development. In Augier, M. & Teece, D. J.(Eds.) Palgrave’s Encyclopedia of Strategic Mangement. Palgrave Macmillan. Sørensen, Hans Eibe. (2012). Business Development: a market-oriented perspective. John Wiley & Sons Ltd.
Kind, S., & Knyphausen-Aufseß, D. zu. (2007). 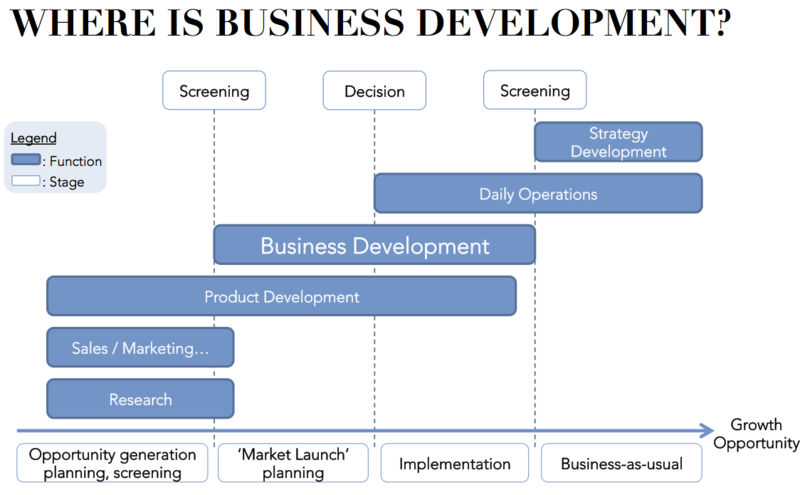 What is “Business Development”? – The Case of Biotechnology. Schmalenbach Business Review, 59(2), 176–199.